Mark Del Franco spent several years in the publishing field in editorial and administrative roles and in the institutional finance field as a proposal writer. He currently works freelance in both these areas. 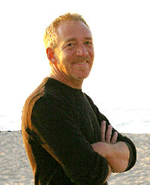 Read excerpts of his novels at Mark Del Franco’s website. Connor Grey — (2007-2012) Publisher: In the alleys of the decrepit Boston neighborhood known as the Weird, fairy prostitutes are turning up dead. The crime scenes show signs of residual magic, but the Guild, which polices the fey, has more “important” crimes to investigate and dumps the case on human law enforcement. Boston police call in Connor Grey, a druid and former hotshot Guild investigator-whose magical abilities were crippled after a run-in with a radical environmentalist elf. As Connor battles red tape and his own shortcomings, he realizes that the murders are not random, but part of an ancient magical ritual. And if Connor can’t figure out the killer’s M.O., the culmination of the spell might just bring about a worldwide cataclysm. 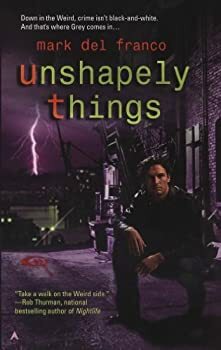 Mark Del Franco's Unshapely Things is another addition to the urban fantasy universe. I bought it for a break from all the female authors and their super powerful sassy female characters. That's not criticism of those authors or their characters — just my desire to read something different. Del Franco's main character, Connor Grey, is a formerly powerful investigator for the Guild, a sort of FBI for fey. Elves, fey, and many other permutations of non-humans have become part of the world we live in due to a magic cataclysm. There are many different factions and Del Franco is adept at creating a feeling of normality; the normal populace simply sees the fey as another special interest group. Laura Blackstone — (2009-2010) Urban fantasy. Publisher: She’ll need to keep up appearances — if she wants to stay alive… Being an undercover agent has its occupational hazards, but Laura Blackstone makes it look easy. As a spy for a fey intelligence agency, she uses her magical abilities to create disguises that are skin deepglamours that must never be compromised. But when Laura’s worlds collide she’ll have more to worry about than retiring an identity; she may just lose her life. 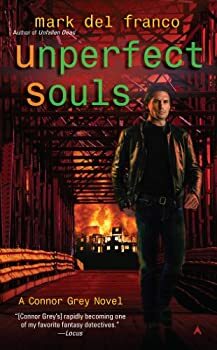 CLICK HERE FOR MORE BOOKS BY MARK DEL FRANCO.